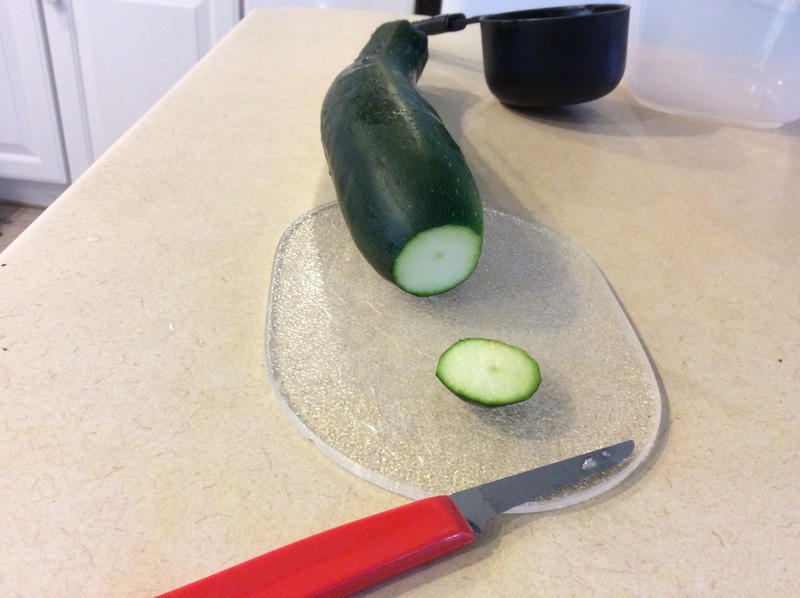 The trick to keeping your gardens abundant zucchini harvest is to freeze it. But, unfortunately, it’s not as if you can just stick whole zucchinis in the freezer and walk away. Nope. You need to shred those suckers down. 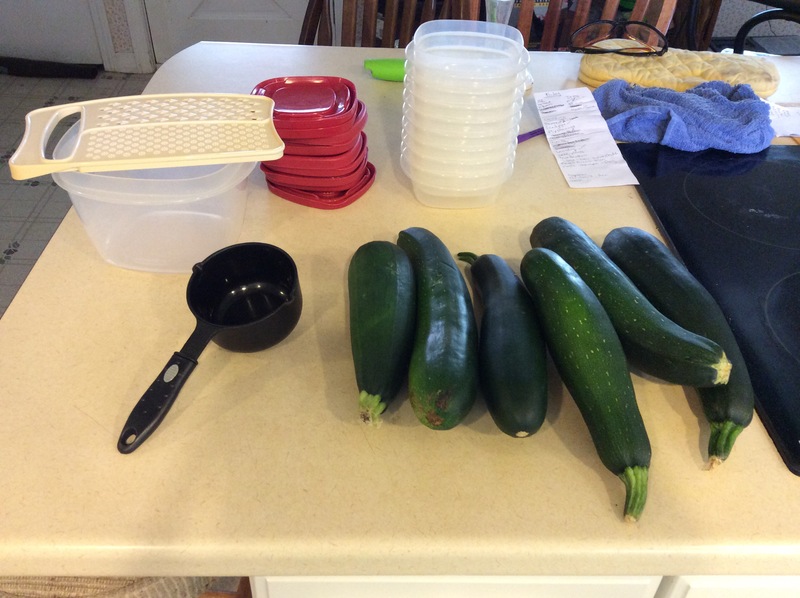 My favorite zucchini recipe only requires one cup of shredded zucchini, so I will be freezing my summer squash in one cup portions. 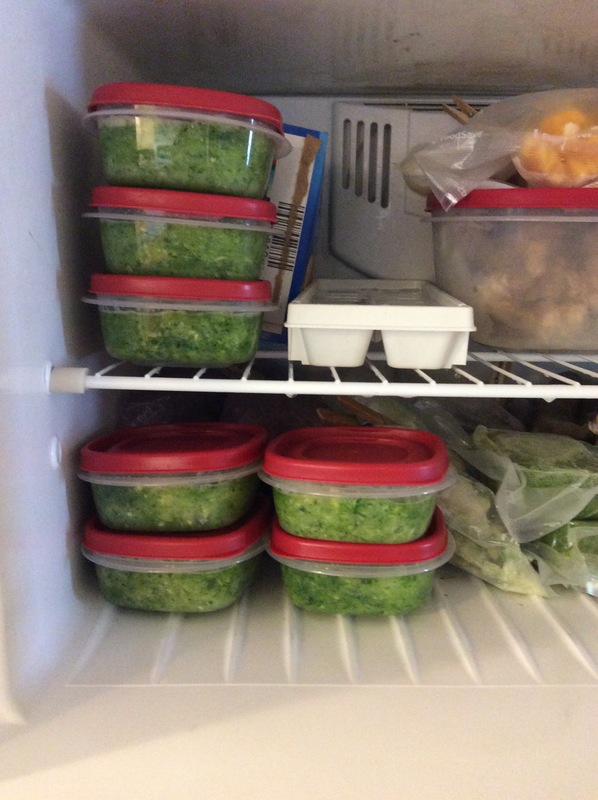 I use my handy 1.25 cup Tupperware containers. This will give our shredded squash room to expand as it freezes. 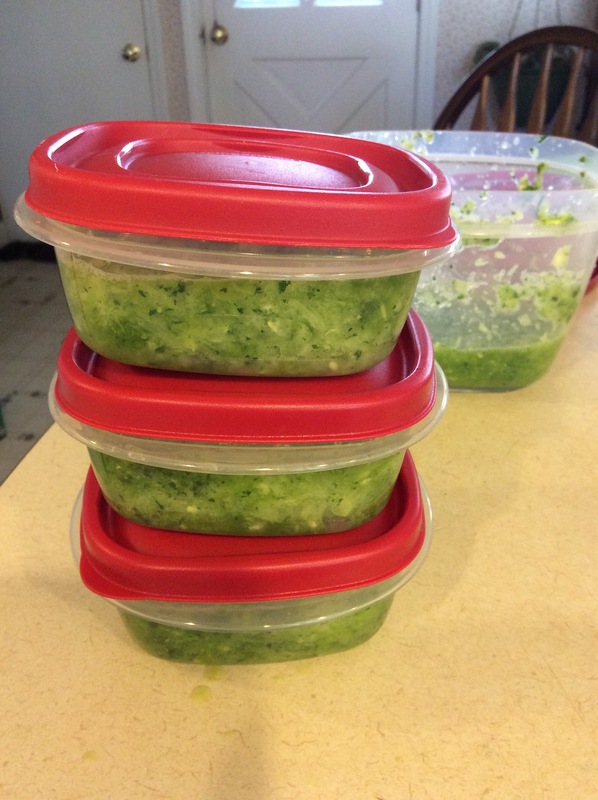 As much zucchini as you, your Tupperware and your freezer can handle at once. These six yeilded 7 cups of shredded squash. Your one cup, freezer safe, comes with a lid, containers. A one cup measuring cup. 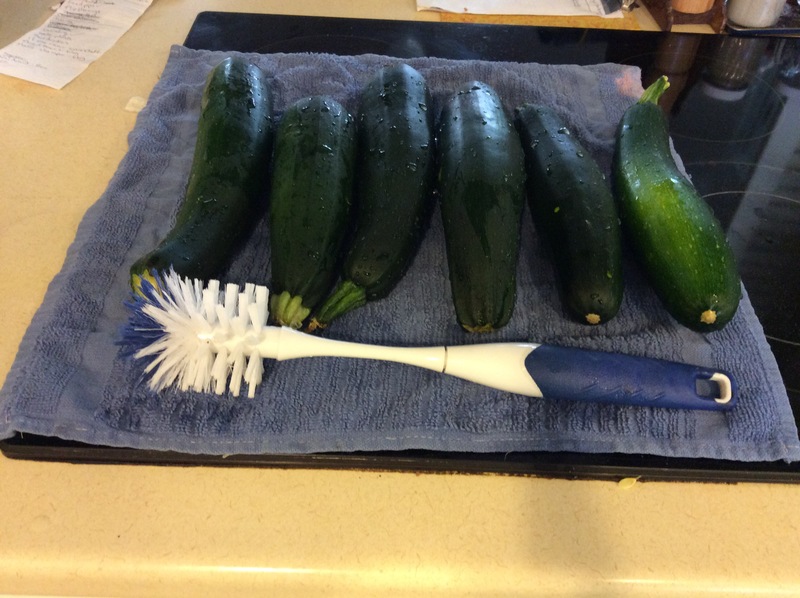 First things first, get you zucchinis super clean. 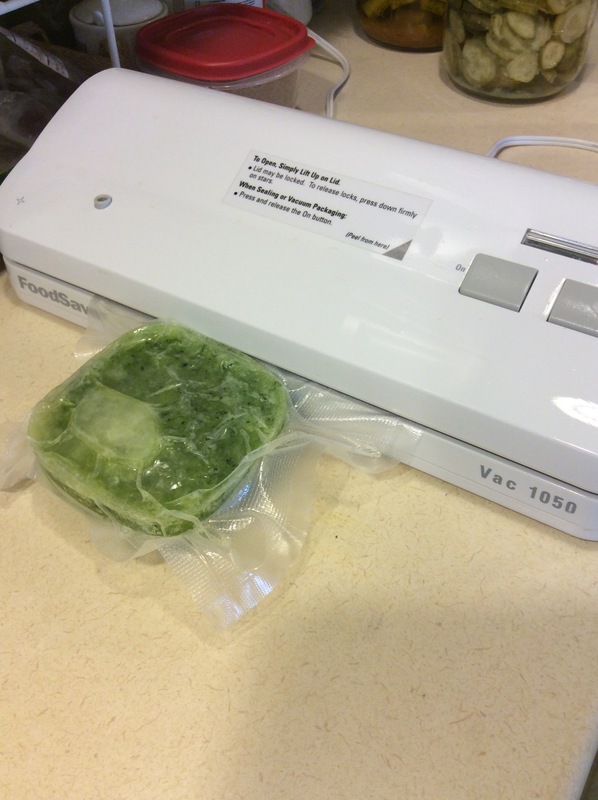 You don’t skin these before shredding, so be sure to clean them very well under cold water with a soft bristled veggie brush. 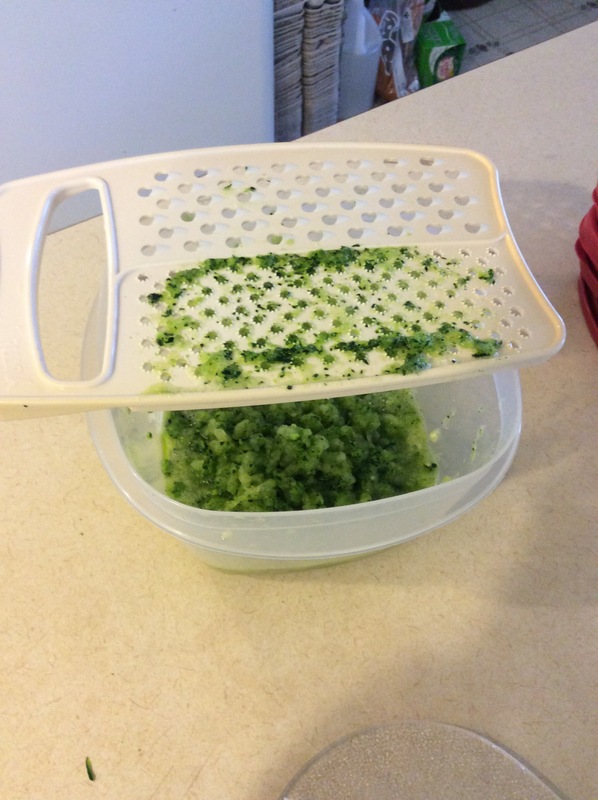 We got this one at Walmart years ago and it’s perfect for delicately skinned veggies. Next, cut off the blossom end of you squash. Now, shred that zucchini! I like this grater because the small holes are jagged all around, which makes it great for breaking down seeds and skin. This is zucchini number 1 down, and it only took about 3 minutes. 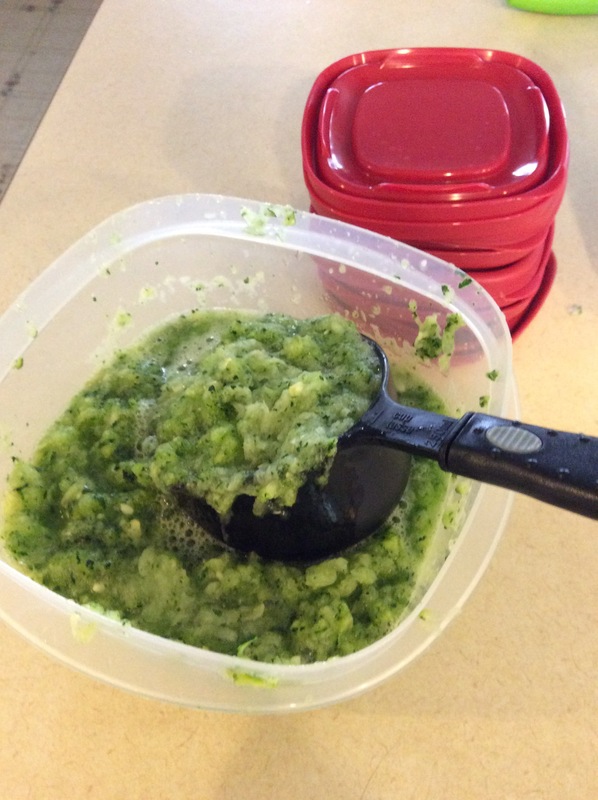 Now, once you’ve shredded your squash, start ladling one cup into each of your freezer containers. I love these little Rubbermaid ones. Well, I love all my Rubbermaid, so it’s a matter of partiality. 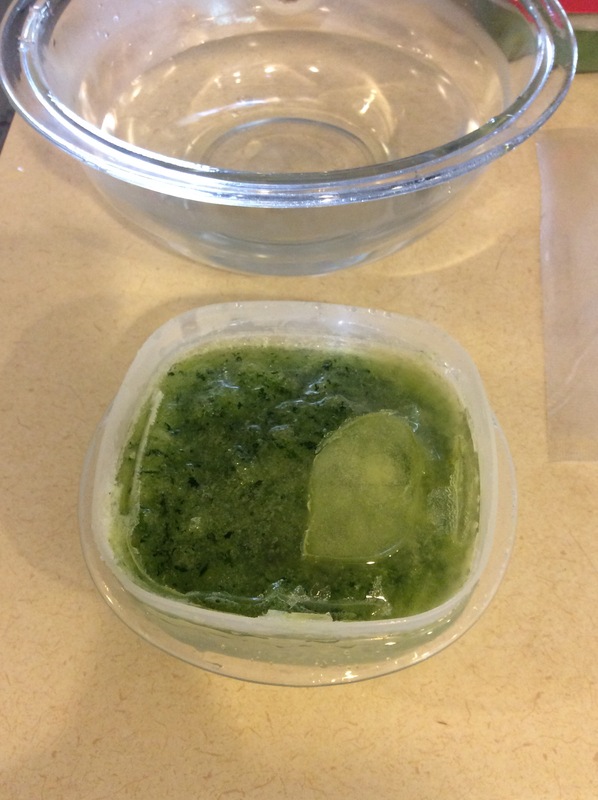 Once the zucchini is in the freezer container, cover it tightly and tap it gently so it’s nice and compacted. Air bubbles are not your friend. Make room in your freezer and let them sit for at least 24 hours. I’ve gone as far as 48 hours before. 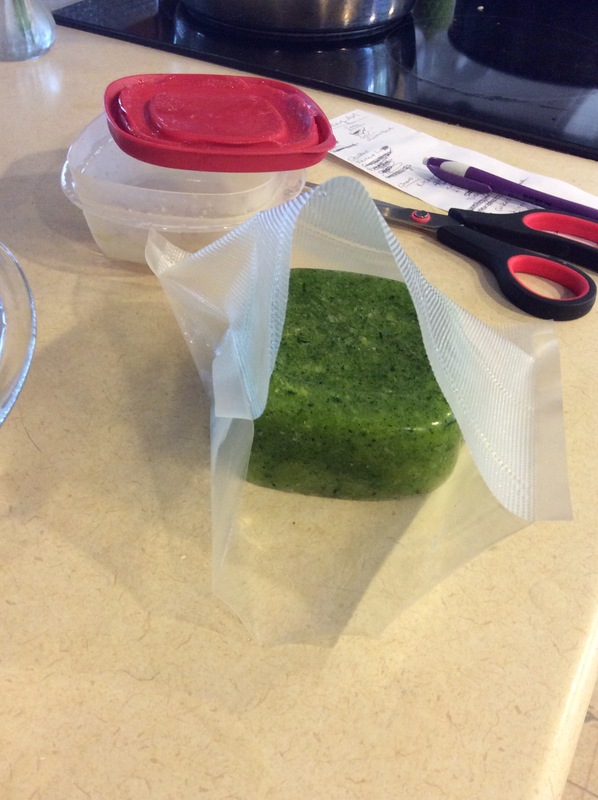 Once the squash is completely frozen, it’s time to get your Tupperware back by bagging it. If all you have is zip locks, that will be fine short term. 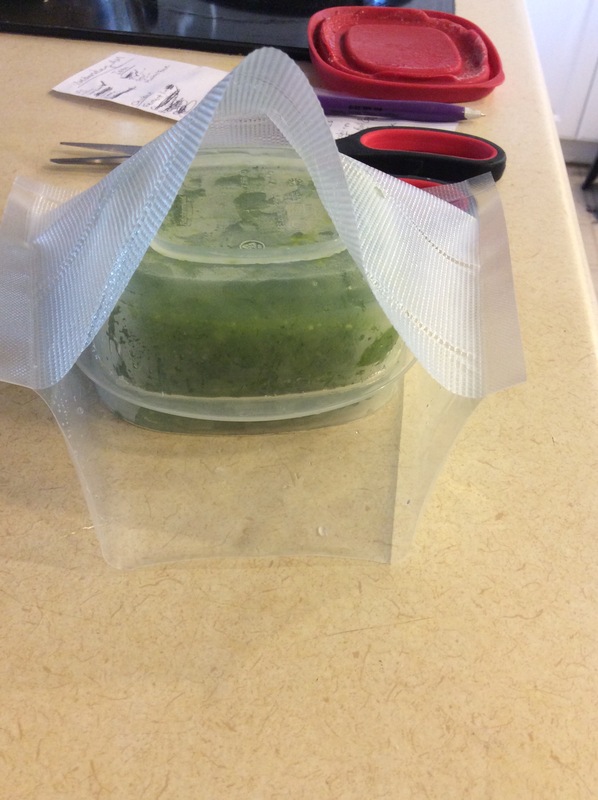 But I cannot stress enough how amazing a food saver system is. We found ours for really cheap but we’d easily invest in one at full price knowing now how much money it’s saved us. 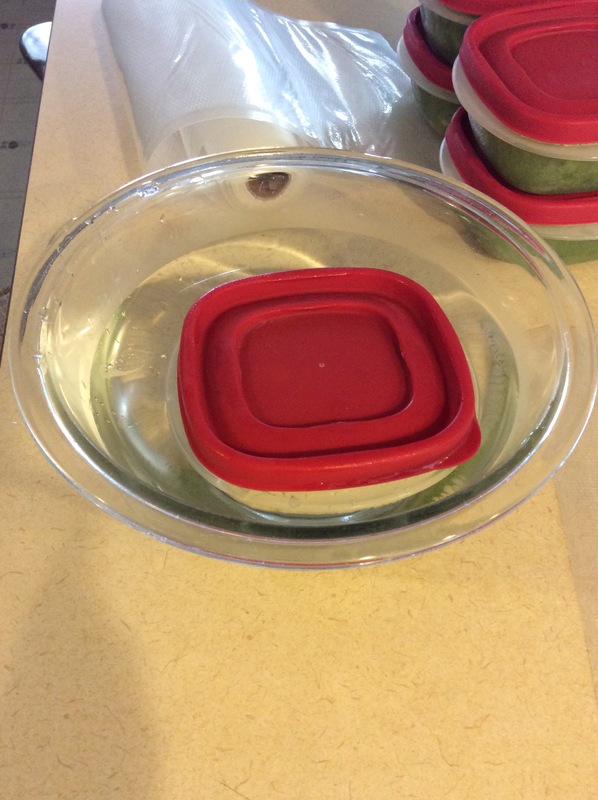 When you pull the Tupperware out, the covers might be kinda stuck. A quick fix for this is a bowl of slightly warm water. Dip the container in real quick. Not only will the top come right off, the squashsicle will slid right out as well. Just dunk it in the water real quickly. Any longer then a few seconds and you’ll start melting your hard work. 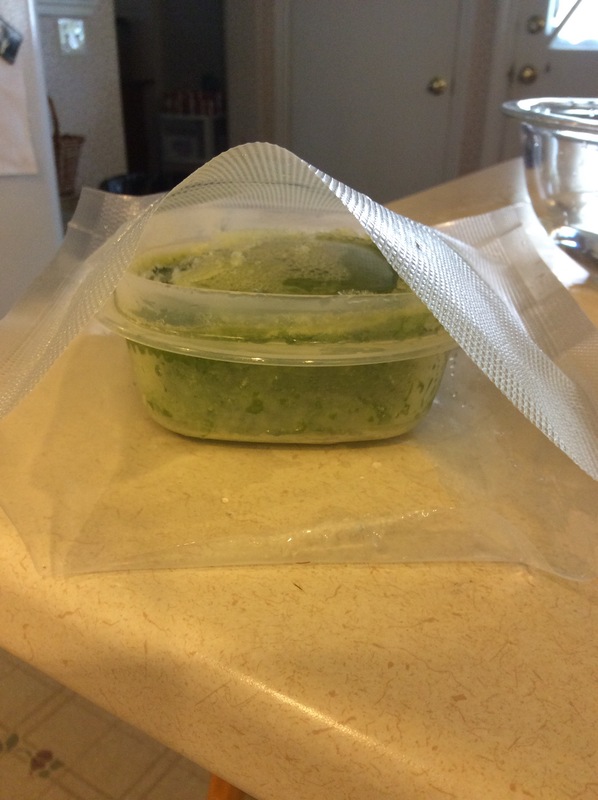 Slid your frozen zucchini, container and all right into your freezer bag. I find it easier to deals with if I put the container in right side up, and then flip the bag. I tap the Tupperware and the block falls right out. Flip over the entire bag. Get the container out of the bag and close it up. 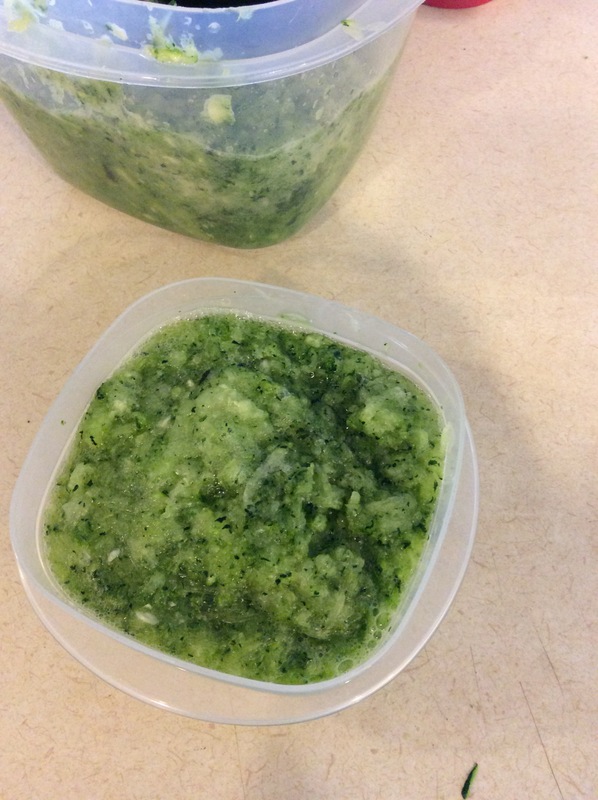 With our food saver sealed bags we’ve kept frozen zucchini shreds for up to the next planting season. Our trusty food saver, hard at work. 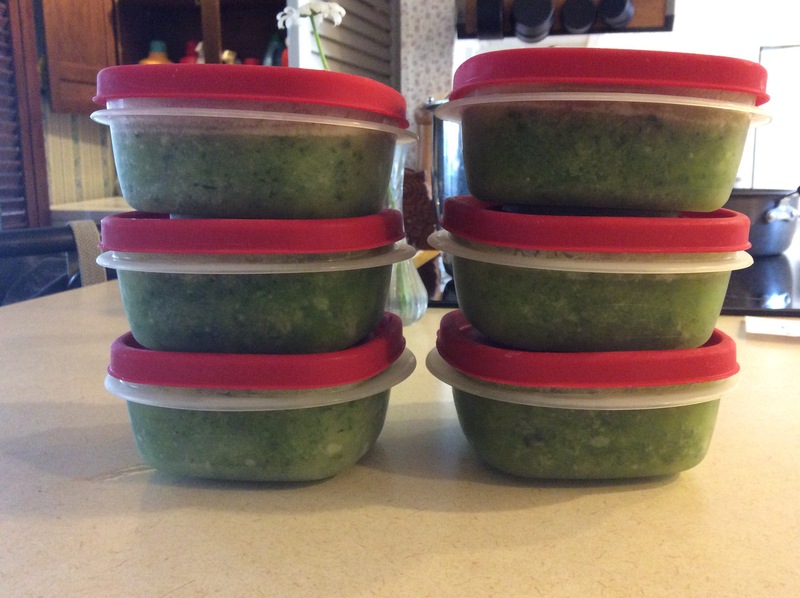 So far we’ve frozen and stored 14 cups of zucchini. 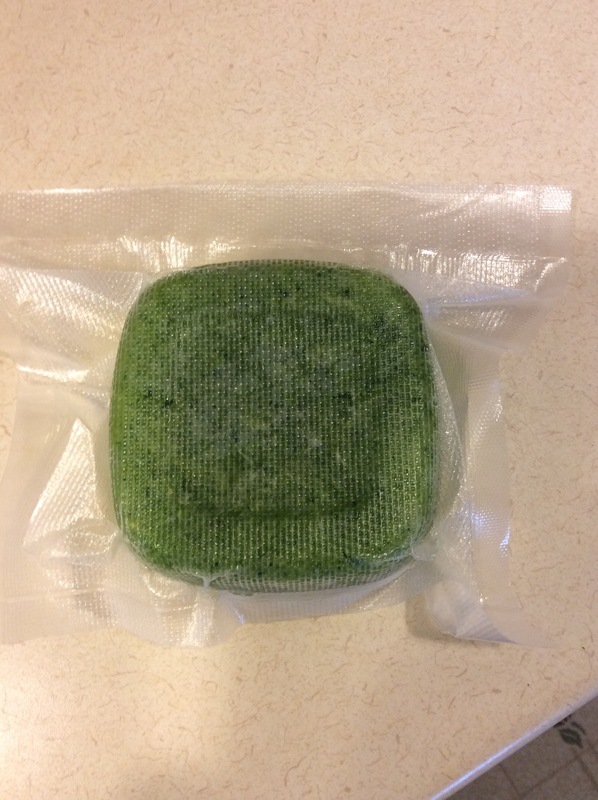 In the middle of a cold Maine winter, it’s amazing to grab a block of this stuff, thaw it out over night in the fridge and make fresh zucchini bread. It’s a little bit of the harvest, in the middle of the grey. Well that’s it- the key to keep all that extra zucchini that your neighbors won’t take anymore. Until next time, have a wicked good evening. Next Post Who doesn’t love a pickle?